A passion for sport (and numbers). Founded in 1998, Sportingbet was one of the first, and remains one of the largest, online gaming companies in the world. 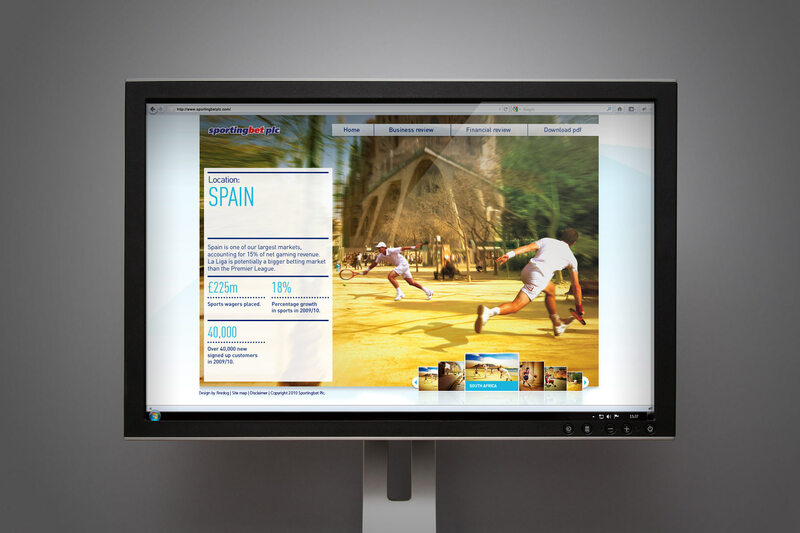 Its website spans over 30 different markets across Europe, Australia, Canada, Africa and South America. 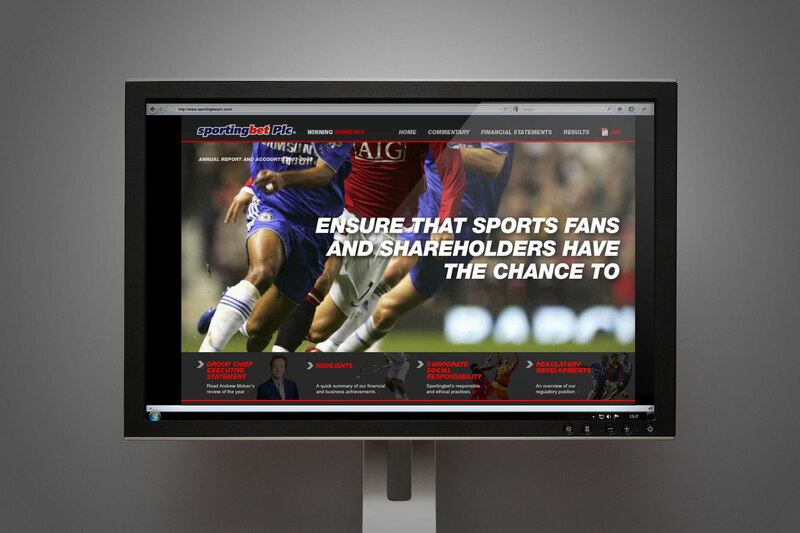 Firedog created the SportingBet annual reports and accounts for three years running. The accounts were presented in both hosted digital and print formats. For each edition we looked to create a unique sporting look and feel. Alongside the great creativity, we ensured a diligent approach to compliance and legal. 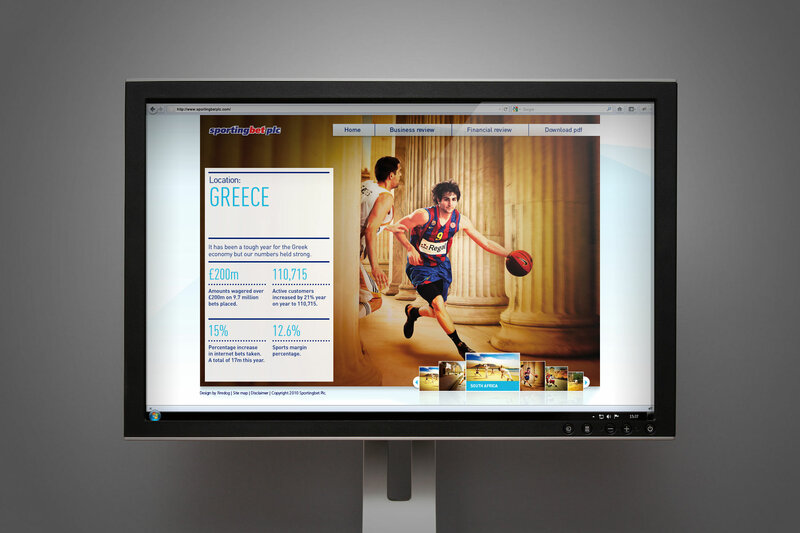 The idea behind the concept - Sportingbet dominates the field, no matter your environment or location. This is the London south bank and Sportingbet owned imagery. 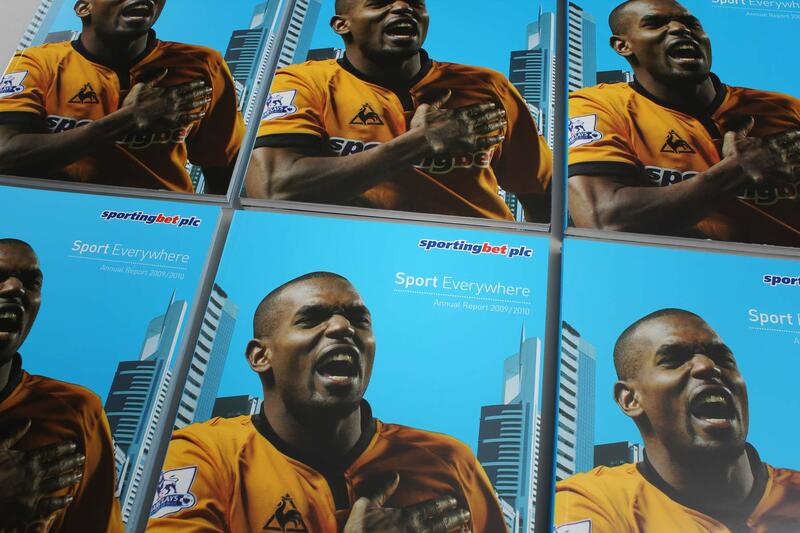 The cover of the report shows the Wolverhampton strip and Sportingbet sponsorship - A key promotional part of the brand. In Australia - Horseracing is the name of the game. 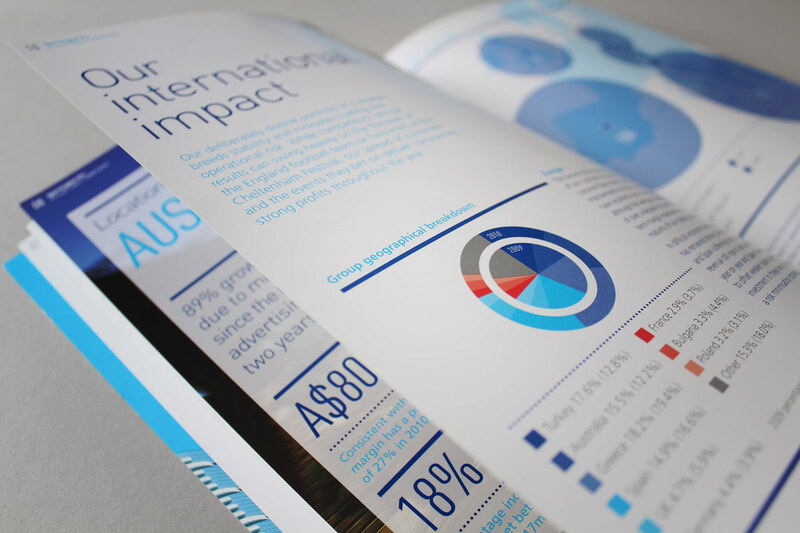 On the left, regional facts and figures add weight to the image concept. The spread for the UK brought the latest news of the movement of Sportingbet onto the official list of the LSE. 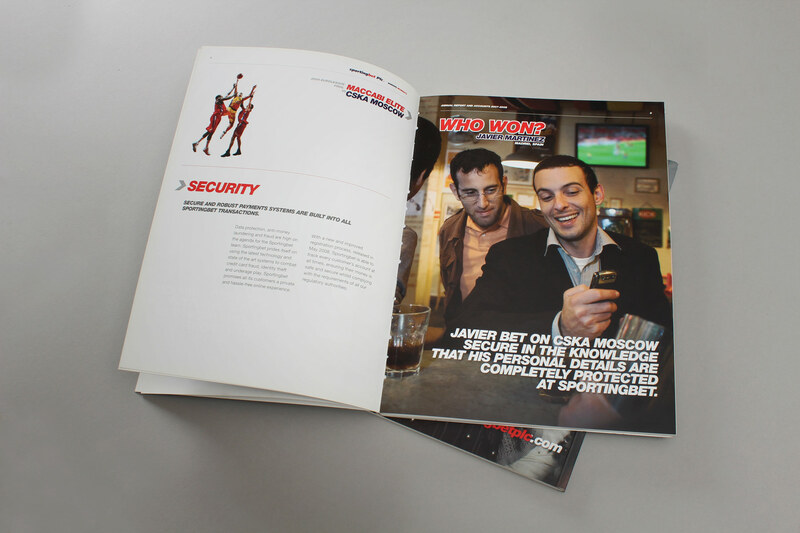 We unearthed numerous facts and figures from the editorial copy to create a lighter, more informed and quicker read. 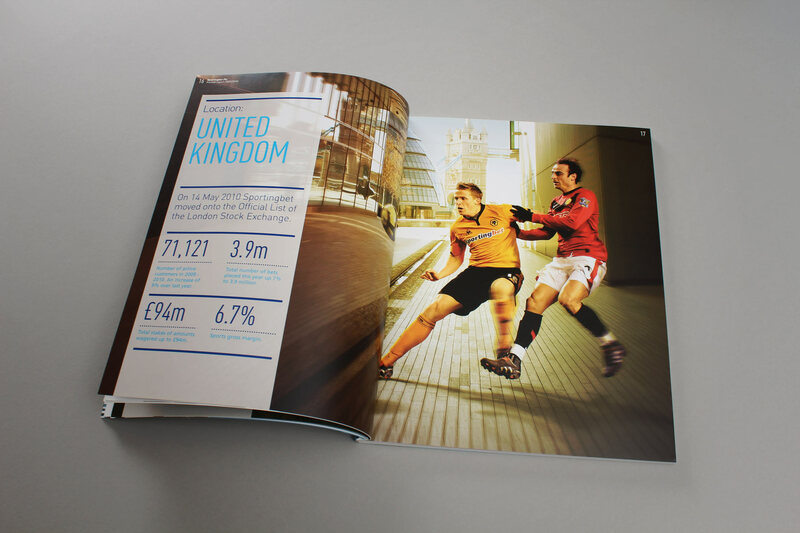 The combination of illustrated stats and figures, structured copy and evocative sports based imagery makes for an absorbing and very successful publication. 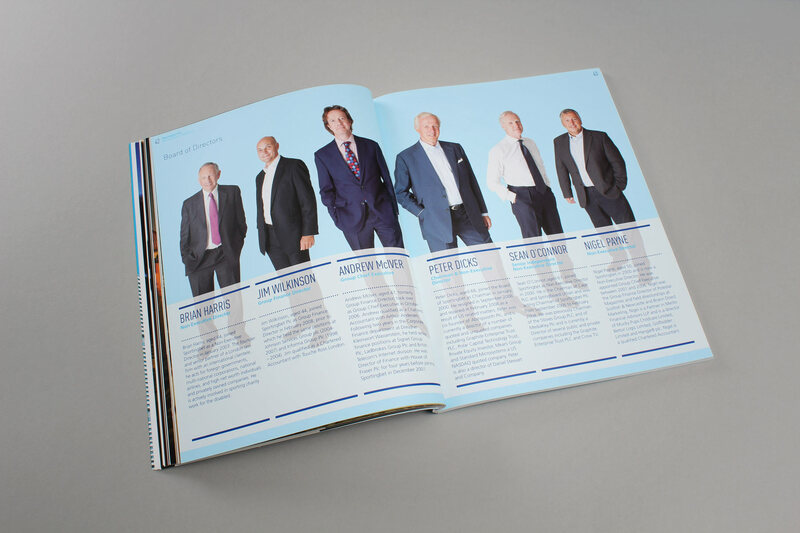 We shot the board members in full length imagery to compliment the visual concept. 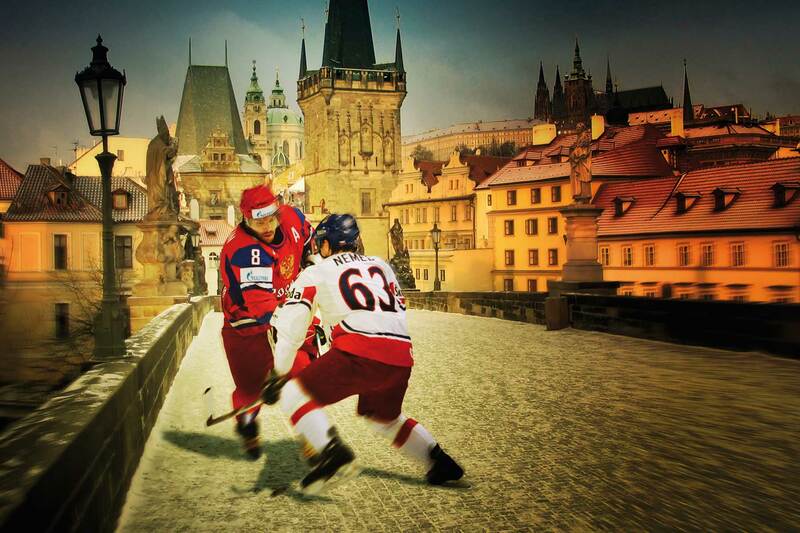 Ice hockey being big in the Czech Republic led us to create this image. The concept is designed to make the players feel as close to their environment as possible. The emphasis shifted even more to the digital reporting platform compared to previous years - With more content and interactivity. The fullpage imagery integrated nicely into the digital format. A quick spot of competitive tennis in front of the Sagrada Familia. The design of the site whilst informed by the print version - Followed site best practise to enable clear reading of content. Players battle it out amongst the Acropolis. 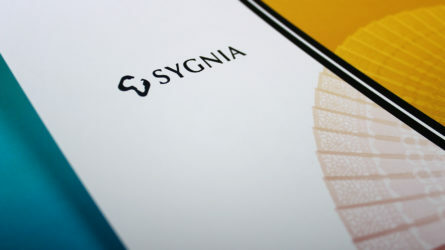 The layout of the online version kept the content and facts and figures within their dedicated silos so that they could be content managed and updated seperately. 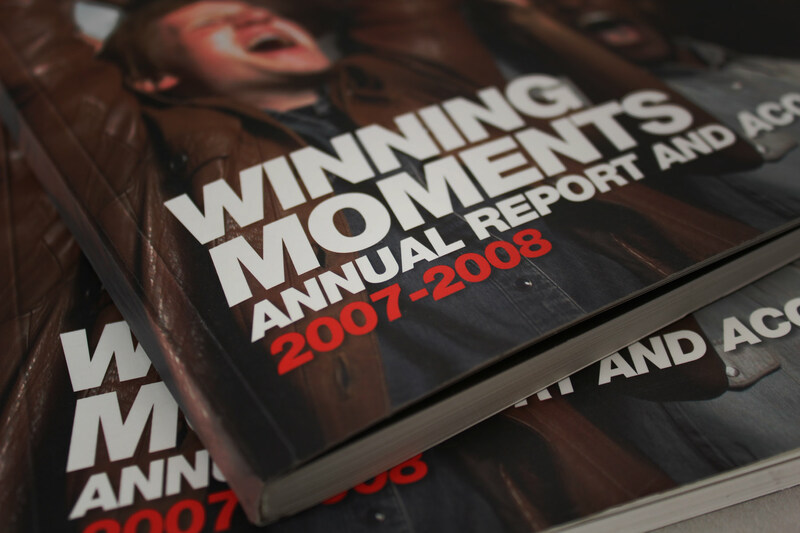 The Winning Moments moniker reflects a good year financially for the business. 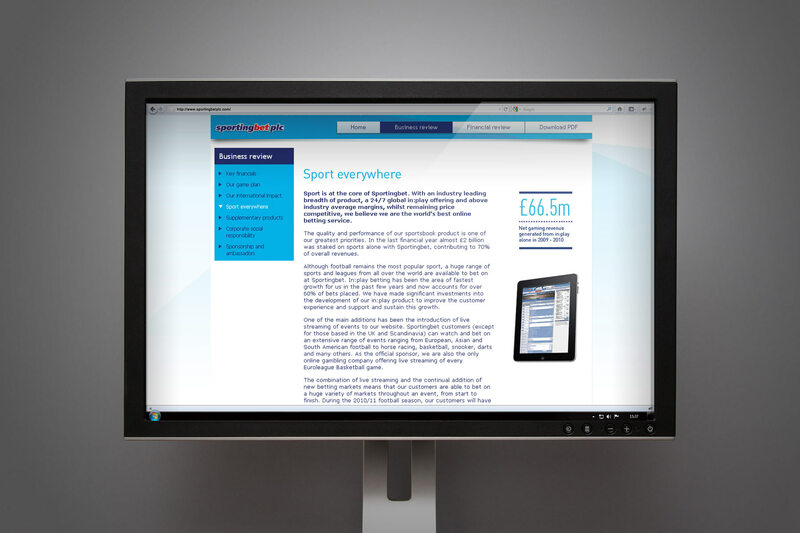 The content produced in the physical report is gracefully transferred to the online environment. We used the combination of key statements along powerful sporting imagery. The concept places the joy of winning within the frame of the audience, as opposed to the sporting team. 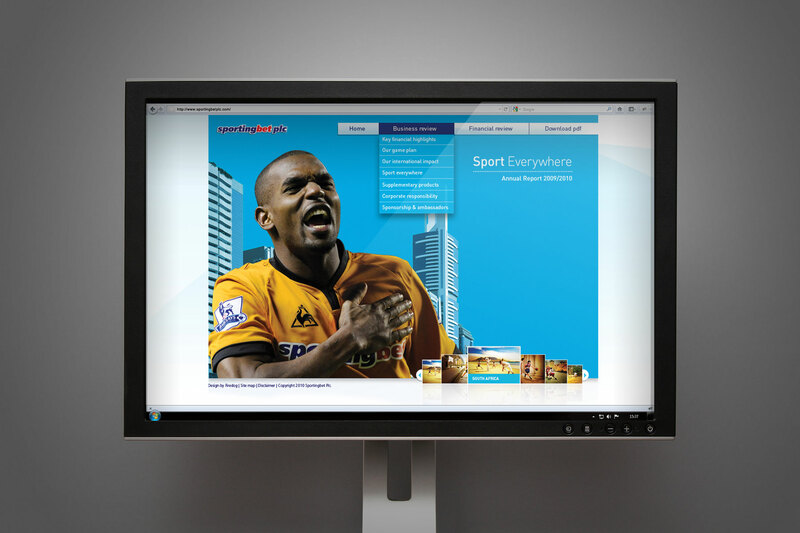 The image styling is geared to showing real people in natural environments engaging in the Sportingbet product. We produced imagery from a series of photoshoots. This is shot in the Kick bar, just around the corner from the Firedog studios. We shot a series of images to illustrate key messages. The conceptual avenue for the report is gleaned from focussed strategic planning. The creative team look to convey the spirit of the year in a succinct visual thread. The subsequent years report contained annual key statistics formed around sporting objects, in chart like styles. By liaising with the client team, we were able to unearth interesting and informative facts and figures. 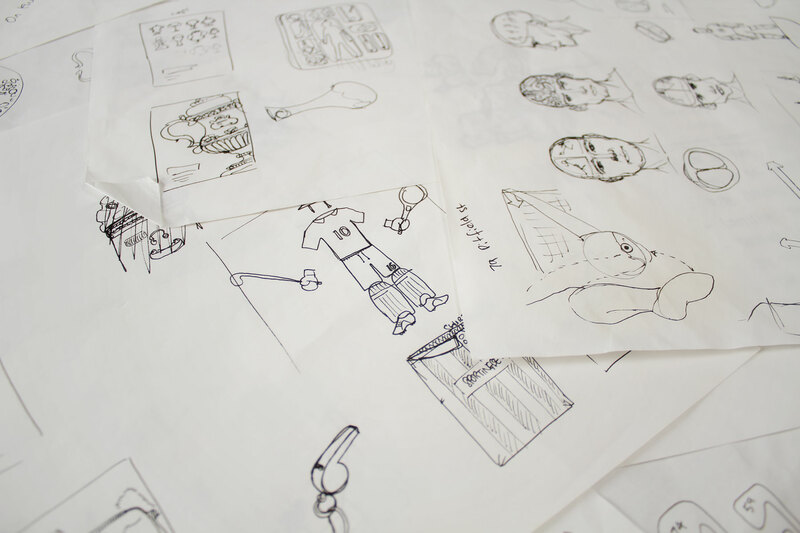 Once online, the charts, graphs and graphic illustrations could be animated and exploited. 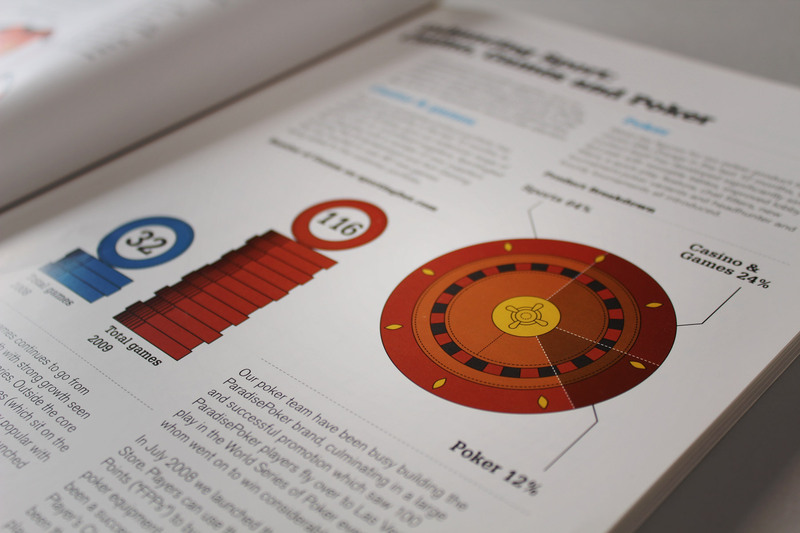 This edition looked to explore even more of Sportingbet’s international operations – The creative concept drawing attention to the sum of these many parts. A fascinating aspect of sport across the globe is the trends around which sports are popular amongst sports bettors in their territories. Beyond the global staple of football, we were able to showcase many of the regional preferences utilising a creative concept which captures the local spirit. We combined real Sportingbet imagery, specialist sports imagery and environmental settings in a series of powerful evocative concept images. This was then combined with facts and figures relative to that region. The editorial content across the review also tapped into regional trends, painting an overall picture of the groups operations worldwide. The editorial content across the review also tapped into regional trends, painting an overall picture of the groups operations worldwide. 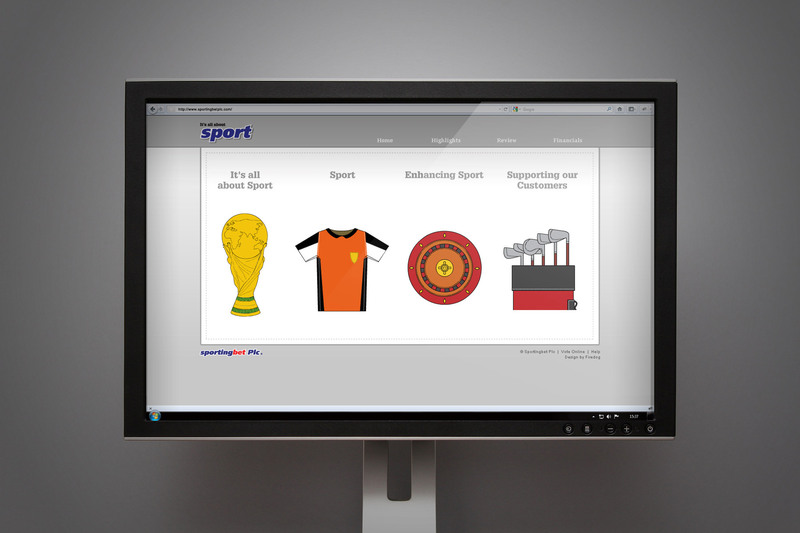 We commissioned a specialist games and betting copywriter to firstly interview key members within the Sportingbet team, and secondly to generate relevant and stimulating copy around the messages for the year. We increased the marketing weight of the report by creating a larger section of content upfront before getting to the detailed figures. The overall message is of a global player steadily on the move. The third in the series of reports is by far the bulkiest and most visually arresting. Deliverables included the initial concepts, photo-shoots, messaging, web design and build and finally, print design and production. 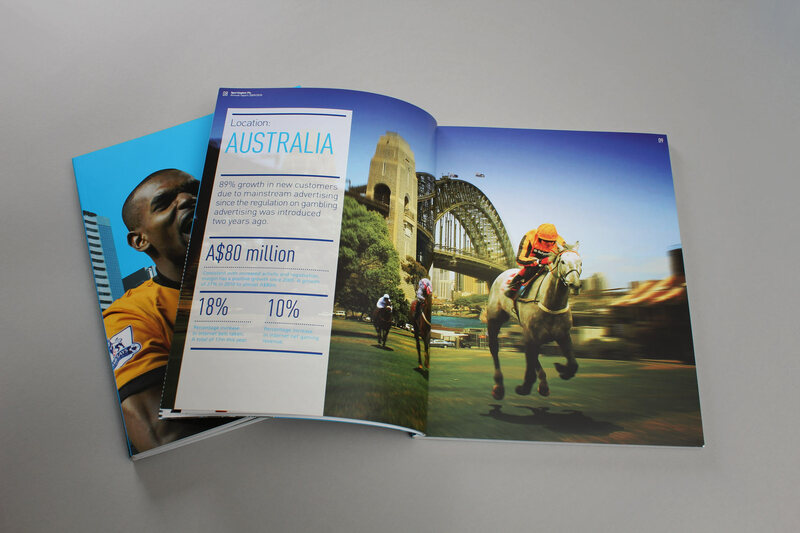 When we first met with Sportingbet in 2008, Firedog was tasked with creating an easy-to-navigate, slick, stylish online Annual Report with a supporting print version for the financial year 2007/8. Deliverables included the initial concepts, photo-shoots, messaging, web design and build and finally, print design and production. 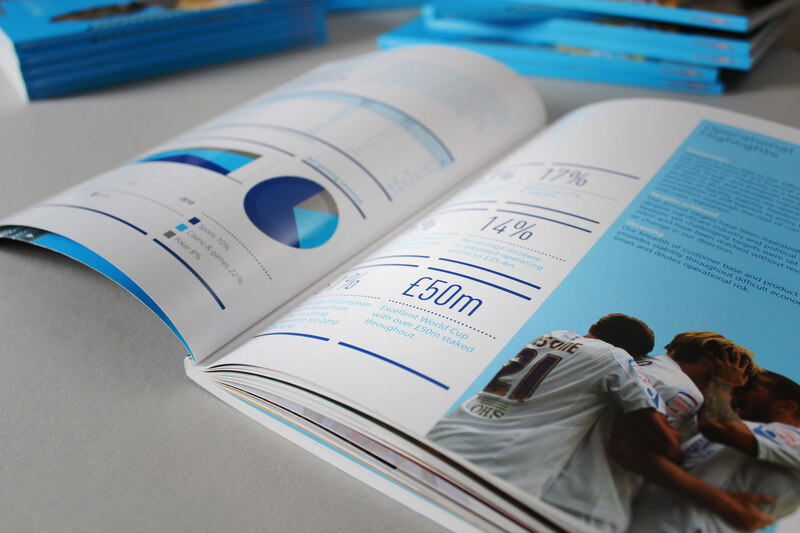 We then followed up with a 2008/9 report with a new concept around similar content. 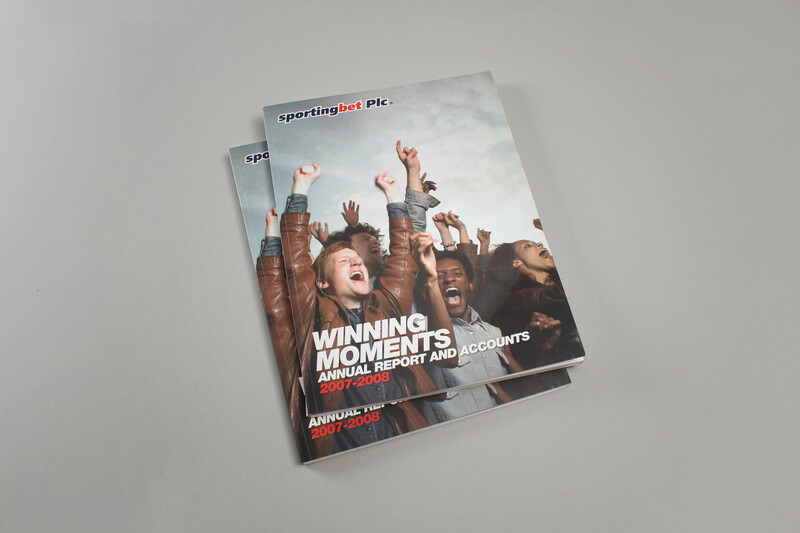 To support the ‘Winning Moments’ concept a photoshoot was organised to produce 5 high-quality images to perfectly illustrate each of 5 key messages. 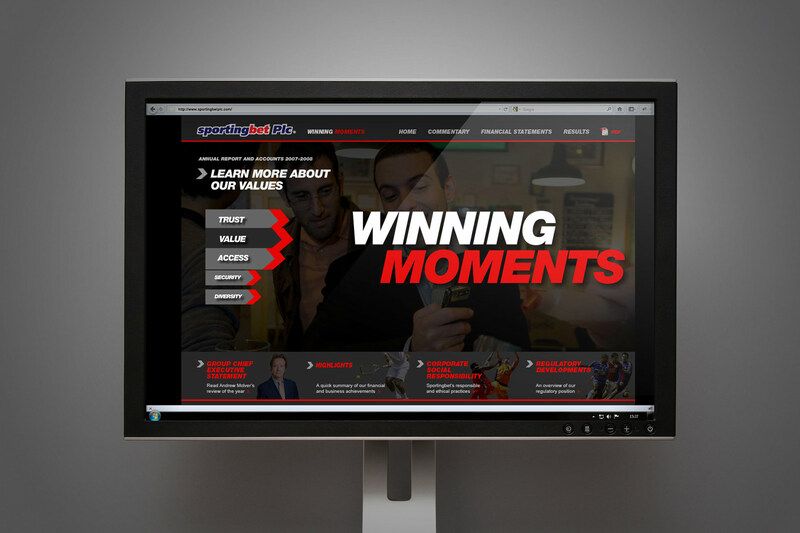 2007/8 – The ‘Winning Moments’ concept encapsulates the Sportingbet experience for customers and shareholders alike. To support the ‘Winning Moments’ concept a photoshoot was organised to produce 5 high-quality images to perfectly illustrate each of 5 key messages. 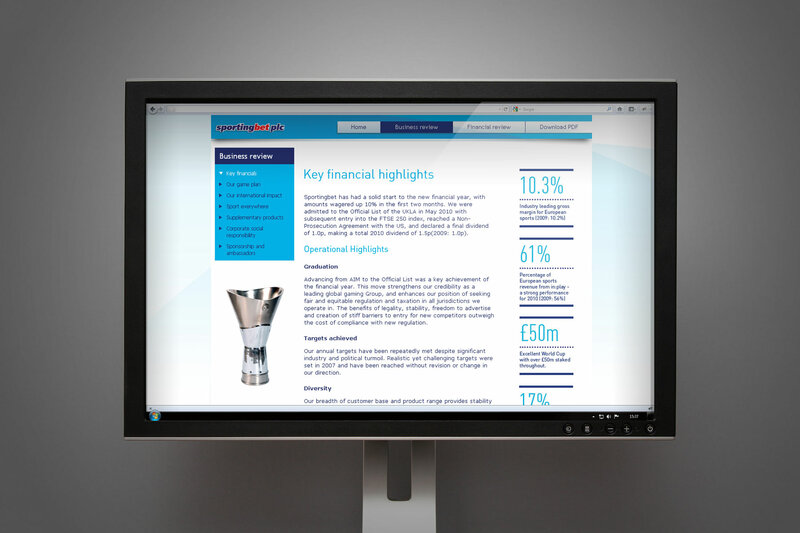 We then built the online annual report using HTML/CSS technologies. 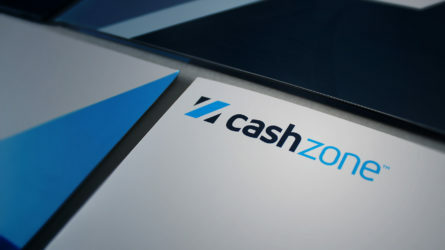 The finished product is a super-slick, impressive articulation of a positive financial year which makes it simple for the shareholders to pinpoint the information they need. Special print techniques were implemented to ensure production costs were kept to a minimum whilst retaining a high-quality feel. Firedog produced a concept that pulled out key performance statistics from their year – Rendered in clean and minimal sporting diagrams. 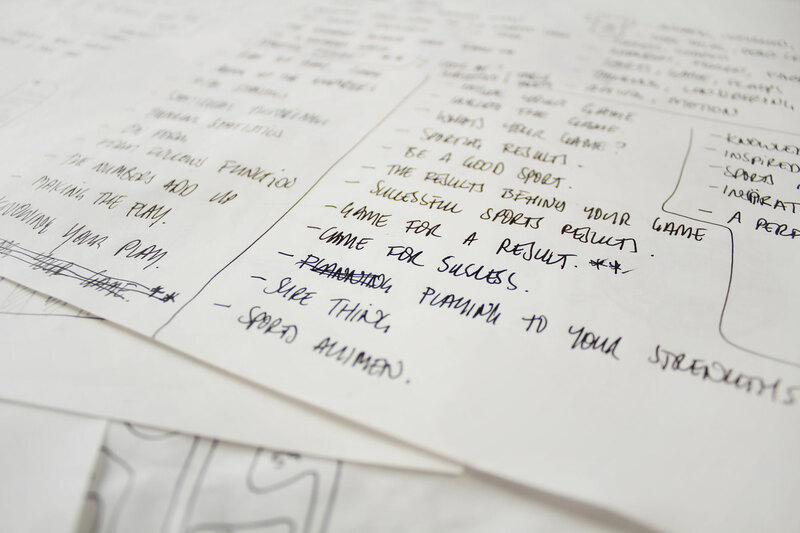 2008/9 – After a good year in tough conditions, Sportingbet wanted to document their progress by looking at what drives them and their business. 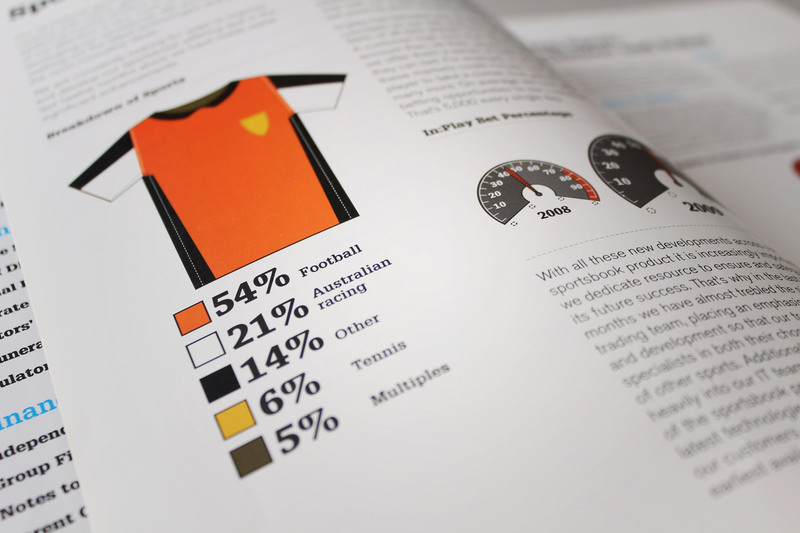 For their ‘It’s All About Sport’ annual report, Firedog produced a concept that pulled out key performance statistics from their year – Rendered in clean and minimal sporting diagrams. By stripping out anything superfluous, the visual language kept the company’s success – and the sport metaphor – at the forefront. In the online annual report, the diagrams came to life, animating to construct and deconstruct as the user navigates their way through the site.